Photo credits to Chelsea Call. Twig Works earrings by Aviva Baumann. Want easier yoga stretches and routines, made for adults and seniors? Have restricted mobility? Alyx created this app containing over 49 gentle poses, for all areas of the body. 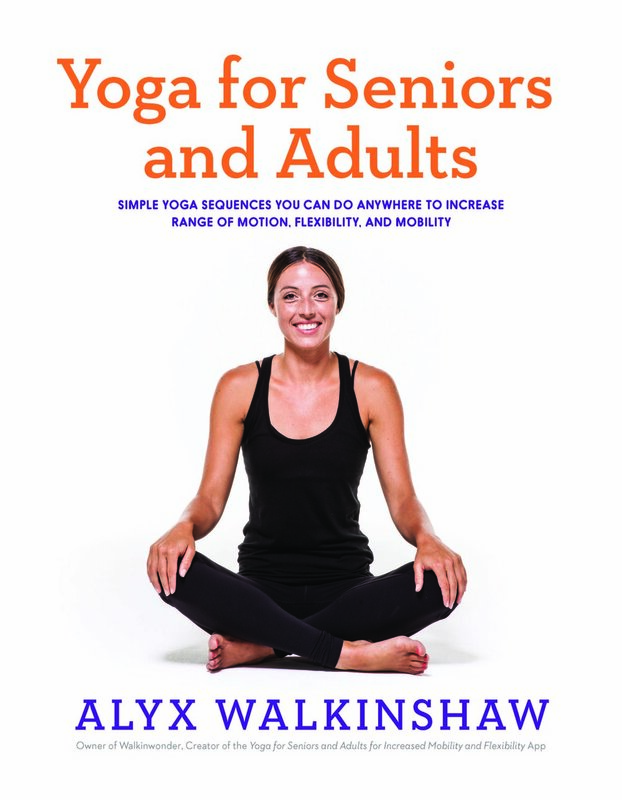 In addition to the app you can purchase the "Yoga for Seniors and Adults" book below through Amazon.
" Great for beginners! I was overwhelmed at the idea of going to a yoga class with my friend, but really need to get started on some good stretching and flexibility moves. She starts with chair yoga - from my chair! - and then moves on from there. One of the best apps I've downloaded and I'll write back when I get more bendy! " "Great book, easy to follow instructions. This book is a nice, manageable size. At 57 pages, it’s convenient to take traveling and offers great sequences that are perfect to practice in non-traditional spaces (i.e. the office). The explanation of the poses, along with the photo-demos are easy to follow. I love that it also makes yoga accessible to a variety of abilities, with a focus on those with compromised mobility. My father has been practicing yoga for the last 30 years and now that he is in his late 60s, the benefits of yoga are overwhelmingly obvious. I appreciate the author’s vision to bring yoga to a broader audience. This book would make a lovely gift."